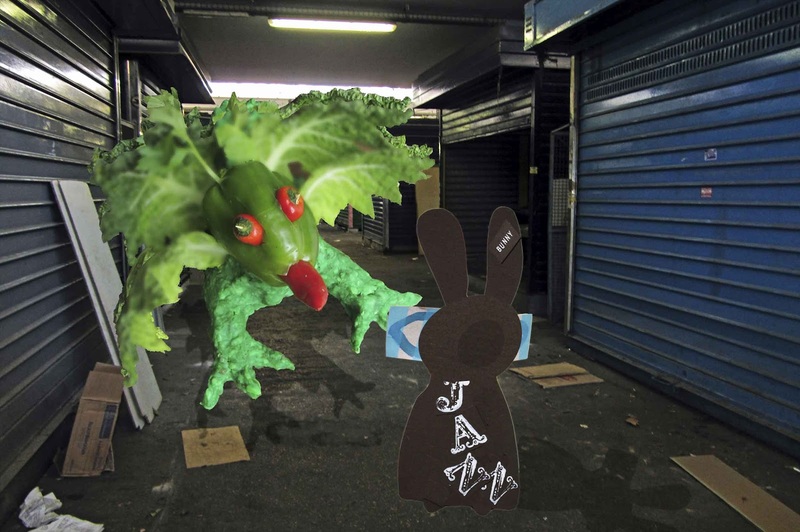 The Wabbit was horrified to see Testaccio Market and stared at the food dragon. "What’s happened here?" 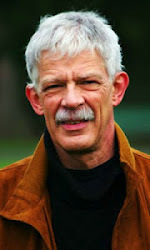 he asked, "because this was a vibrant place full of hustle and bustle and people selling stuff." "They closed it," said the food dragon. "They can’t!" said the Wabbit and he stamped his hind leg in disgust. "There’s a new market of concrete and lights and niche products," said the dragon, "and they have no room for a food dragon like me." The Wabbit stamped his foot again. "They would not embrace your difference," he shouted. "I’m used to it," said the dragon. "There was once a saint who tried to make me mild." 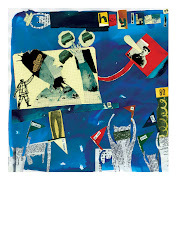 A ferocious heat emerged from the dragon's tongue and it singed the Wabbit's fur, so the Wabbit hopped back slightly. "How did that make you feel?" he said, smoothing his fur with both paws. "Angry!" roared the dragon. Everything rattled. 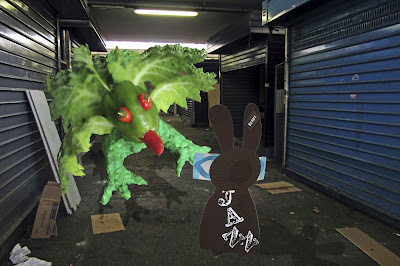 "I suggest you forgive him," said the Wabbit. "No!" roared the dragon. "Say it," said the Wabbit. "Say what?" said the dragon. "I forgive the saint." repeated the Wabbit. "I can't," said the dragon. "Try," urged the Wabbit. The dragon fluttered his wings and quietly murmured, "I forgive him." "Can’t hear you," said the Wabbit. "I forgive him!" roared the dragon and the Wabbit hopped back once more. "How do you feel now?" he asked. "Mildly irritated," said the dragon. The Wabbit bared a 28 toothed grin. "My work is nearly done!" he smiled. "Now let’s take a look at this awful market. What’s your name, by the way?" "Terni," said the dragon. "Come on Terni, let’s see what the planners have done." "Wabbit, what do planners eat?" asked Terni. "Their words, usually," said the Wabbit.